Thinking that "this is it" for Jonathan Goulet, The Road Warrior unfortunately loss his Ringside MMA 9 fight last weekend. And with that, the fighter is leaning towards ending his nine-year MMA career. After suffering his 12th loss last weekend at Ringside MMA 9, Jonathan Goulet is contemplating on his retirement. Goulet loss via second round knockout to Chris Clements. According to his agent, Ken Pavia, Goulet hasn’t made a final decision yet. Pavia also added that his client doesn’t remember a punch that landed at the back of his head, which knocked him out. 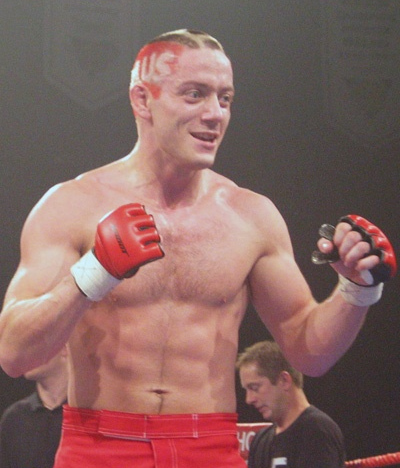 Jonathan Goulet was released from UFC after losing to Marcus Davis via TKO at UFC 113. He has notable wins against Jay Hieron and Lake Cummo. Goulet is 1-1 since leaving the Octagon.